When we think of a frogman, most of us usually tie that with a Navy Seal. My comparison would be to train similar to one of these heroes if you’re a tri-athlete. 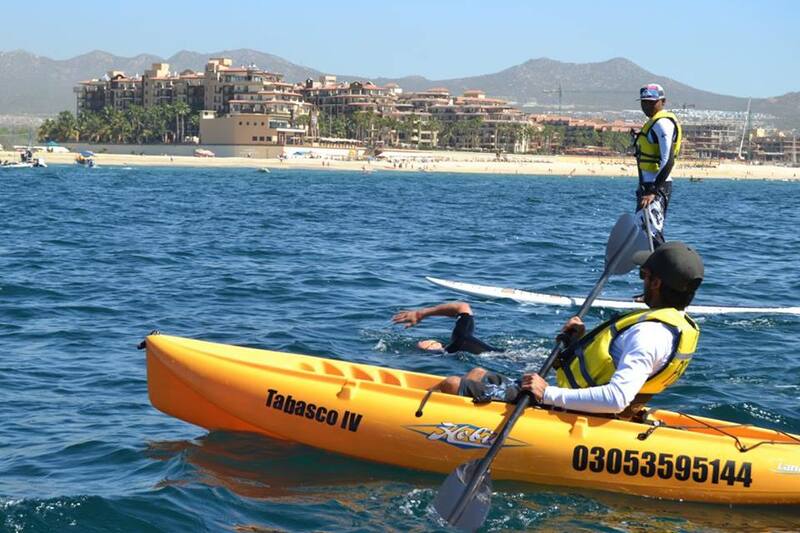 Just recently I headed back to the Sea of Cortez for some winter open-ocean training. The ability to be able to master your swim, then run, can make or break you in a triathlon. In the past, I learned the hard way that after swimming a couple of miles in the open ocean, and then trying to run out of it, can be quite difficult. As it is, you’ve just swam 2 miles in the choppiest, sometimes coldest, water and you get to shore to instinctively run out to transition to your bike. The thing is, after you’ve swam such a distance, your body is still in swim mode and your legs are too. This is why so many tri-athletes come out of the water only to reach the shore and fall right on their face. Sometimes they twist a foot or even break a wrist. This will end your competition immediately. 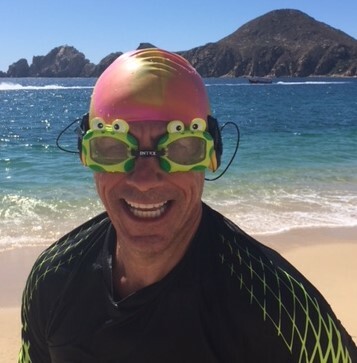 While I was in Cabo, I trained like a frogman using the inside parameter of my resorts buoys. First I’d start with a run on the shore where the first buoy started, time my entry to the ocean with the waves, swim 100 yards out, then 450 yards across, 100 back in, only to practice running out of the water and running like heck 450 yards to where I started. After about 6 loops and a little over an over, you should have your body acclimated to be able to get out of the water very quickly and start your run without falling on your face. It’s an intense workout, but not nearly as much as my yearly swim across the Sea of Cortez to Lands End. It’s nearly a 3-mile swim, but the chop of the open ocean is what makes it extremely challenging. This year I tried something different, instead of swimming from the mainland to Lands End, I swam from Lands End to the mainland. I did it an unbelievable time of 23:18 when it generally takes me 43 minutes to swim the opposite way. No, I don’t have any super powers like Aqua Man to be able to swim so fast. What helped me get to the main land this time was that I had the ocean’s current take me to shore externally fast. Honestly it really wasn’t that hard of a workout like I was expecting. I prefer to have more of a challenge because in competition, and especially in real life, challenges are part of the game. Regardless, I did have a great time and to celebrate my success my wife bought me some special frogman goggles as seen here. Train hard and have fun with it. Please Spay & Neuter your pets.